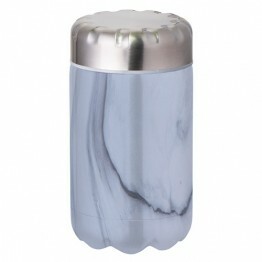 Insulated food jars and flasks are insulated to keep your food either hot or cold for hours. We have 4 brands of food jars in store and each one has a slightly different point of difference. The following information will help you choose which one is right for you. 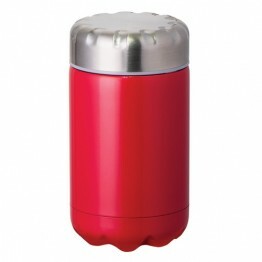 All choices are vacuum insulated stainless steel with a stainless steel jar interior and exterior. Avanti - provides hot insulation for up to 7 hours and is only 8.5cm in diameter. 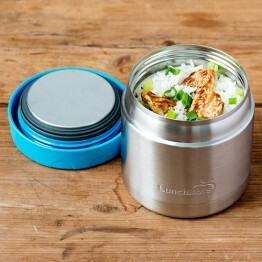 The inside of the lid is stainless steel so there's no plastic touching your food. 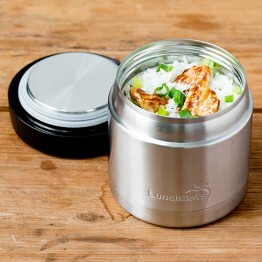 They are also the best priced food jars in the range. 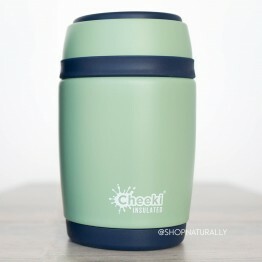 Cheeki - provides hot insulation up to 8 hours. 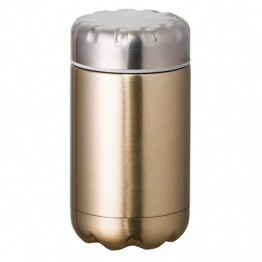 Diameter is 8.5cmThe inside of the lid is plastic, but it has a vent button to allow steam to escape. One problem people have with insulated food jars is sometimes the build up of steam can make it harder to get the lid off. 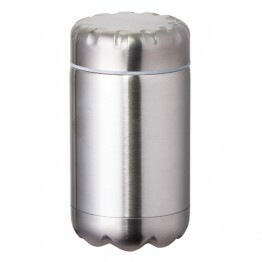 We have photographs of the vented lid that we took in our own photo studio. 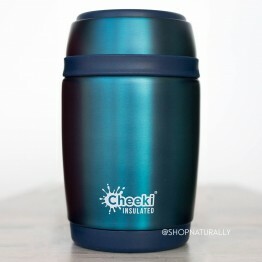 Klean Kanteen - the smaller 237ml insulated up to 5 hours and the larger 473ml up to 8 hours. 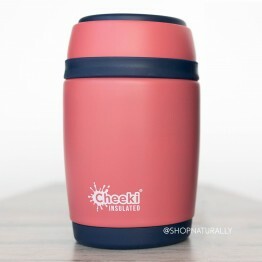 Originally, the inside of the lid was stainless steel, but it was providing inferior insulation, so the inside of the lids of these are a bpa free plastic. The lid is insulated with recycled cardboard for added performance and the only plastic is underneath the lid. 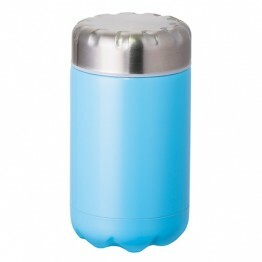 Klean Kanteen also make a single wall food canister in the same sizes. 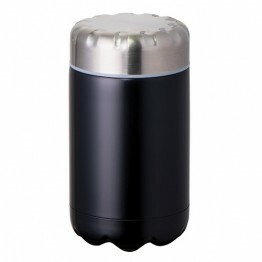 Lunchbots - the 470ml has hot insulation up to 5 hours and a full stainless steel interior. Much wider than the others, it's 11.43cm wide, making it easier to scoop food from as it's more the dimensions of a bowl than the others. 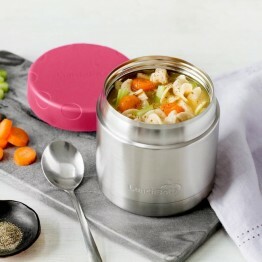 This wide shape and stainless steel lid does mean a shorter insulation time than others, but for most, it's more than ample to pack in the morning for lunch time. PERFORMANCE EXPECTATIONS - for best results, pre-warm your flask with water straight out of the kettle, put food in hot and FILL it. 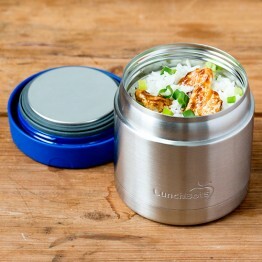 Without filling it or pre-heating, you won't get the full performance out of your food jar. At the end of the insulation period, you can expect your food to be still holding around half of the original heat when you put it in as long as the lid hasn't been repeatedly opened and you did fill and pre-heat it. Hot insulation up to 7 hours and cold up to 9 hours. Full stainless steel interior.